When we have more than one child in the family, it is normal that we do things together with all the kids. I personally find it very important to also spend time individually with each child to give him or her our undivided attention. Five years ago, I started doing that after the birth of the little boy as I was worried that the elder girl would feel left out or displaced. She was going from being an only child to having a demanding little baby brother in the house. To help her to slowly adjust to not having all the attention, I used to spend Saturday mornings taking the girl out soon after her brother turned one month old! At that time, we were living in Paris and had no extra help. Most of my day was spent with the boy when his sister was in school however, the girl had very little focused and undivided attention so I made the effort to co-ordinate with my hubby to care for the little baby when I took the girl out for two hours (the intervals between the time the boy needed to be breastfed). 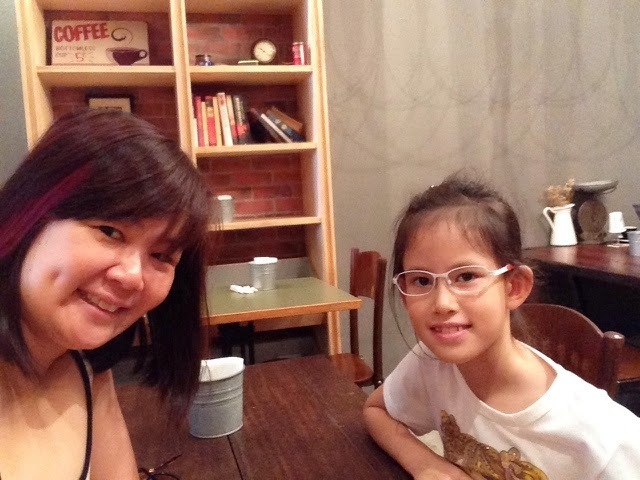 And since then, life has become a lot easier when we moved to Singapore and have a live-in helper. After we moved here, I could even take individual holidays with them. 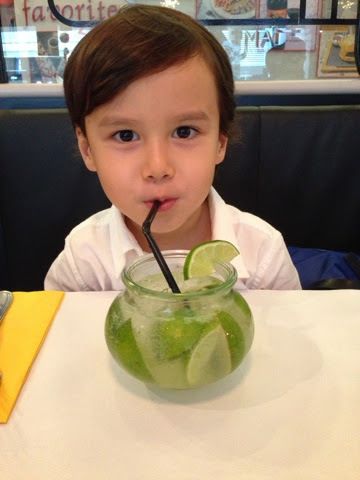 I took the boy to Perth when he was coming to two years old, and then to Sydney recently at the age of 5. The girl and I went to Tokyo and Nice together. 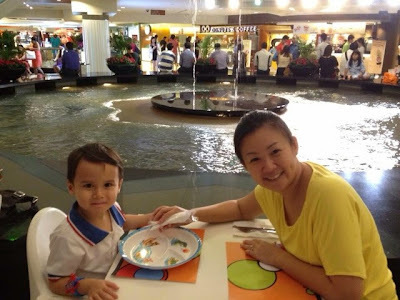 Now, I take the children out separately for meals at least a couple of times a month. These moments are precious to me as I believe I am building a string of positive emotions and character in them. One of the most crucial reason I continue to spend one-on-one time with my children is because it is a way for me to reaffirm them and let them know I love them. I tell them "I love you" all the time but what better way to express it than to give them undivided attention. I also have to make a conscious effort to put away my smartphone when we sit down at the table. It is, as much as possible, a no distraction, dedicated time for them. I want them to feel that they matter to me and are worthy of my time. I want them to know that I care about what is happening in their lives and spending quality with them is important to me, that they are important little people in my life. When we spend a meal together, this is a time when we are chatting, catching up on what is going on in school, with their friends, or even using those time to reinforce certain values that I want to build into their lives. I want them to know that I am willing to listen and listen attentively. I want them to know that I am someone they can look to when they need moral guidance. Before we share the meal, we always say a prayer and during these one-on-one time, I also pray for our conversation to be truthful and full of love. As parents, we can speak life into situations and build up their character, teach them resilience etc. Sometimes, I am the one sharing about things that happen in my life and about how I am dealing or have dealt with it. So here are some of the one-on-one times that I spent with the kids. 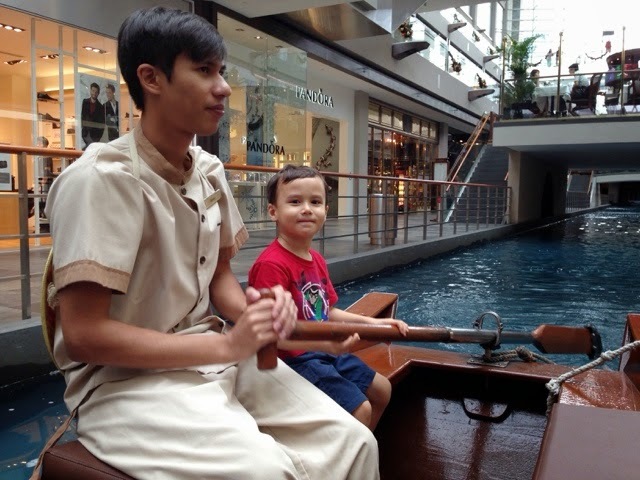 Took the boy to Marina Bay Sands. We tried out the sampan ride and then enjoyed a sandwich together. Another time when we went to the Podi for dinner together. Took him to &made when he wanted a burger. 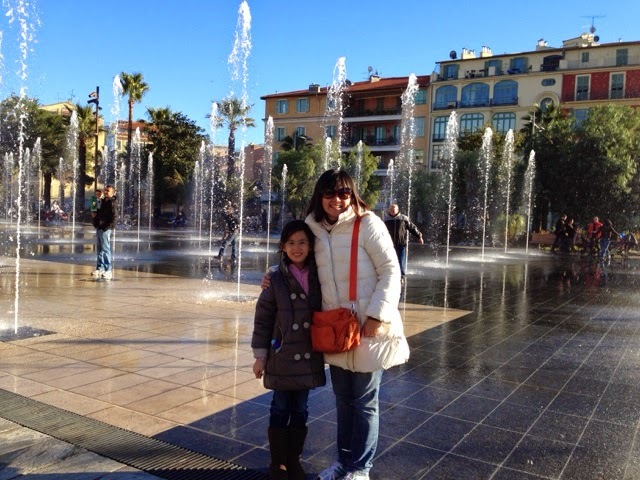 The girl and I spending three days in Nice, just the two of us. Having breakfast, just the girl and I. She is growing up too fast! There are many good benefits to spending time individually with the child including building into their memory bank, bonding with them, creating a great habit of keeping communications open and honestly just enjoying each other's company. I totally encourage all parents to do this, even if it is once every other month. Try it! Let me know about your one-on-one time.